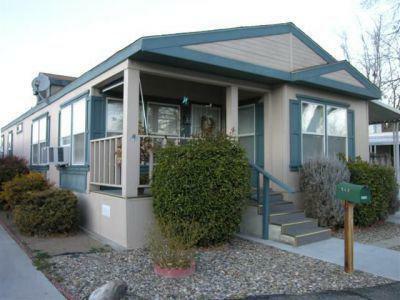 This 3 bedroom 2 bath mobile home in the Highlands Senior Park is ready to move in to. Built in 2000, this home has been meticulously cared for. Cathedral ceilings, breakfast nook, laundry room, sunshade window coverings and very nice curtains throughout the living room. All of the flooring is in very nice condition and nothing is needed. Refrigerator, washer, dryer, bedroom set, large dresser, kitchen table and some living room furniture will remain with the sale. Located on a very quiet street.